Germany Student VISA processing agent from Bangladesh. German Education System has a well-balanced combination of educational high degree of sophistication, matchless charm, and unparalleled educational quality, which integrates different nationalities; and, thus built centuries old tradition of international students gathering. 1.8 million Students across the globe go abroad to attend numerous universities. Nearly one tenth of those students choose to come to Germany. Germany has a lot to offer to the foreign students, whether he/she is a first-year or postgraduate student. Yes, you can mound your career by achieving degrees from prestigious universities, and by joining the most skilled work force on planet earth. So, take your leap of faith; achieve the dream of your life, where earning and learning move simultaneously, with the assistance of Exotic International. 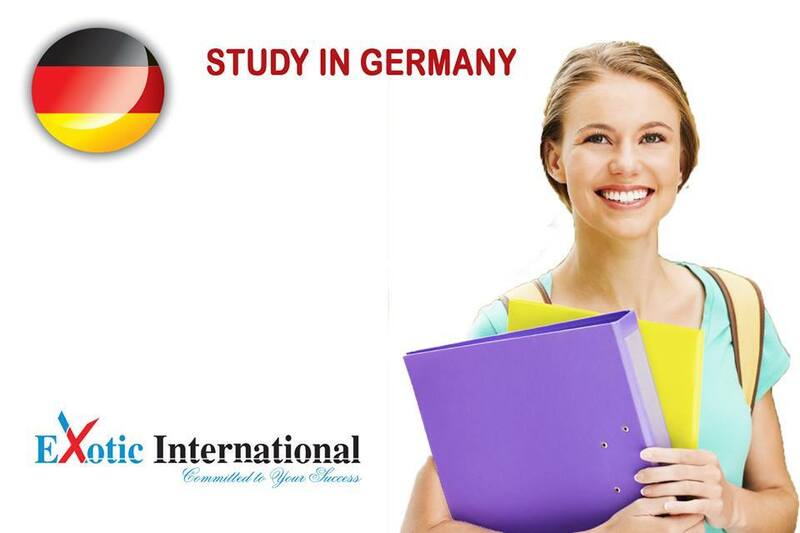 Exotic International is a Germany Student VISA consultancy firm in Bangladesh. We works for German Top Class University Admission, Arrangement of German Scholarships and Student VISA service by grooming them for VISA application, VISA interview, presentation of other relevant documents in order to get a VISA and post departure facilities for the student by arranging Hostel/Dorm etc. We also provide the List of Scholarships, Grants, and Fellowships for International Students not only in Germany but also whole over the world. Thus, it is recognized as the Best Germany Student VISA Consultancy Firm in Bangladesh. Our integrity and enthusiastic triumphs which covers the field of Student VISA took us to the new horizon of reliability and responsibility. With authenticity, which is accompanied by accountability makes of the best German Student VISA agency/agent in Bangladesh. We are always welcome and happy to provide such assistance to anyone who needed help with their Overseas education/admission/Scholarships in Germany or Europe. Don’t hesitate to Contact us if you need assistance in finding the right school for you. Our friendly staff will be happy to assist you. In Germany, Higher education gets delivered in both English and German language. For any English medium course, students have to prove their English proficiency by securing an IELTS score of (6.0). Alongside, a student can study in German Medium after successfully completing B1 Level German Language Program. Students need not to pay any tuition fees for their main courses; but for language programs, tuition fees are applicable. Germany Student VISA Consultancy firm. German Higher Education system depends on the deliverance of two intertwined mode of lesson distributions, commonly known as “Dual Education System” and “Unity of learning research”, which made Germany a place where you can shape your future through responsible, practical and innovative learning. Century old universities, sophisticated social security system and very innovative atmosphere with very low tuition fees made Germany the place where future creative minds can easily seek sanctuary, and evolve. By staying at the heart of Europe, Germany connects all of Europe through its roads and highways system. Not only that but also Germany is the economic and technological powerhouse of central Europe. With high density of universities and fairly distributed population across the nation will enable you to get the job in the place where you wanted. With the perfect combination of Funding from German Government, Industrial Sectors and European Union will literally enable you to do a research with limitless possibilities. With International recognition, 350 German universities now offer Courses in English and German. Being Government Financed and highly subsidized, all German universities are very low at Tuition Fees, where majority of those are completely Free. Not only in Tuition Fees but also you can lead a decent life with high living standard but with the minimum of cost in comparison with other Central European Countries.